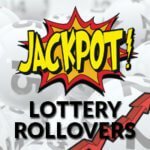 At this website you will get all needed information and current results about lotteries in the United Kingdom and other countries. The website will offer you various statistics such as drawn numbers or a very popular result check to learn whether you won a prize. With our website you will always be in the picture. The section news from the world of lotteries will be periodically updated. We hope that you will find all what you are looking for. If you have any idea or suggestion to improve the website do not hesitate to get in touch with us via our contact page. Nowadays, betting on lotteries is fairly simple. You can bet from the comfort of your home. Thanks to the Internet, one click of the mouse is enough to bet for the biggest jackpots from anywhere over the globe without having to travel. Players can choose from a large variety of websites, each offering different advantages. To help you in your decision making and, most importantly, to strengthen your safety we have tested the most popular online lotteries concluded with a detailed review. The list shows a brief summary of each of the lotteries that you can play or bet on in the UK. More details such as the rules or specific tools, checker, statistics are available from the specific game pages. 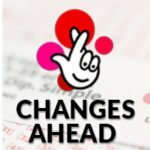 The UK’s first and most popular lottery game changed its name in 2002 after being known as the National Lottery since launched in 1994. Players can pick six numbers from 1 to 59 to win a £2.5 million jackpot. Players are automatically entered into a supplementary game, the Millionaire raffle, which guarantees at least one millionaire in each draw. Draws take place each Wednesday and Saturday. 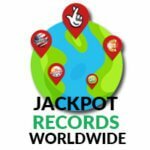 is one of the biggest lottery games in Europe played in nine countries. Players can choose five main numbers from 1 to 50 plus two Lucky stars numbers from 1 to 12. If you hit all the numbers you will win the minimum jackpot (check your numbers) worth euro 17 million. the maximum is set at euro 19 million. Playing Euromillions allows you to participate in a supplementary game the Millionaire maker ,which guarantees one millionaire in each draw. Draws are held each Tuesday and Friday. With Thunderball you don’t play for the biggest jackpot yet the game guarantees great chances to win. All what you do is pick five numbers from 1 to 39 a plus one „Thunderball“ number from 1 to 14. The top prize remains constant no matter how many people win. Draws are held four times a week, on Tuesday, Wednesdays, Fridays and Saturdays. To win the prize in Hotpicks, players must declare how many balls they intend to match. The greater the number, the bigger the potential prize. Five matched numbers from 1 to 59 will make you win the top prize of £350,000. Draws are geld on Wednesdays and Saturdays. Euromillions Hotpicks is a brand new lottery game launched based on the Euromillions. In this game you can choose how many numbers you wish to match to win. The more numbers you choose, the bigger your potential winnings. The winnings are guaranteed, which means that if you match all five numbers from 1 to 50 you will win £1 million. Draws take place on Tuesdays and Fridays. By playing the Health Lottery, you support good causes in your region. Players pick five numbers from 1 to 59 to win up to £100,000 in a jackpot. Draws are held five times a week, on Tuesday, Wednesday, Thursday, Friday and Saturday. The first draw of the most popular Irish lottery took place in 1988. 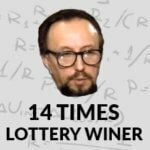 In this lottery you pick any six numbers from 1 to 47. if you match all six numbers you win a jackpot. The minimum Jackpot is €2 million and rolls up from there if the jackpot is not won. Against a small surcharge you can play a supplementary game called Lotto plus with two extra draws. If you choose the „Plus“ game you will be automatically entered into the Raffle draw. Postcode Lottery, a charity lottery, was launched in 2005. Winners receive material prizes and cash. Unlike traditional lotteries, you don’t select any lucky numbers but play based on your post code. Draws take place each single day. Players can win up to £3 million or a car. By participating in this lottery you support charitable projects in the UK. Picking a few numbers, filling out a ticket or bet slip and hoping that the luck is on your side is what everybody can do. If you wish to win a jackpot of your dreams instead of relying on luck tease your luck. 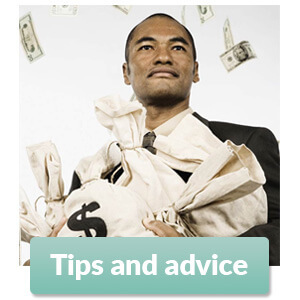 Read articles in our section and advice at our website to hit a long-awaited jackpot. We have created specifically for you a category full of articles with tips and reliable advice periodically updated by new texts. The articles don’t offer any guaranteed recipe to win in a lottery since such a recipe doesn’t exist. The articles offer plenty of tips and advice to boost your chances to win and point out to the most frequent mistakes players make.